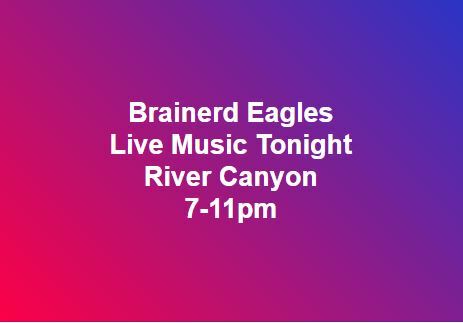 River Canyon will be performing live from 7pm to 11pm. Kitchen is open from 5pm to 7pm. $5 for all dances for non-Eagle members.